New CRIF Decision Solutions’ research on debt collection analyzes key challenges and future market perspectives. Since the outbreak of the 2008 financial crisis, debt collection management has become one of the most pressing topics for financial as well as non-financial companies. While drivers vary, from worsening credit conditions resulting in a decrease in overall collection percentages and an increase of customers who “can’t pay”, to increased competition and need to improve the bottom line, overall debt collection has become more challenging. Why are you undertaking new research on debt collection topic? 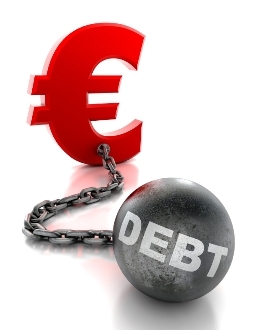 The “world of debt collection” is constantly changing. From previous studies it came out that a path of industrialization was underway and therefore, after three years, we decided to investigate deeper the current situation, in order to see what has changed and which challenges are on the horizon. For these reasons we are conducting various research and surveys in different countries. What trends are you finding so far? Strengthening relationship with outsourcers through strategic partnership approach. Moreover, a path of industrialization is underway also in non-financial sectors, such as telco/media and utilities who are benefitting from best practices in financial institutions and adapting and evolving them towards their own purposes. Despite advances, key challenges remain such as to align internal processes with strategies, increase automatization and be ready to respond to changes in legislation. What do you think is the recipe for success? Align technology infrastructure to support this evolution of management strategies which leverage data and analytics to segment, automate and continually improve. How can CRIF Decision Solutions help its customers to achieve this success? We have gained a huge experience working on many projects worldwide in different industries from banking & finance to Telco/Media and Utilities. Our solutions involve consultancy, benchmarking, strategy and process optimization, predictive analytics, reporting and software solutions. CRIF Decision Solutions focuses on customers’ top priorities and how to address them in a continuous improvement process. Our analytical capabilities, our end-to-end debt collection solution “CLever” along with our debt collection expertise & services are innovative strengths designed for those who want to improve their collection performance.